My children have participated in Avid4 Adventure’s summer camps for a number of years and now that they’re technology-obsessed teenagers, those adrenaline-charged summers are more relevant—and imperative—than ever. One of the many great things about Avid4 Adventure’s camps is they are not just for the extreme outdoorsman. In fact, Pre-K – 12th graders of all levels and backgrounds learn to kayak, canoe, stand up paddleboard, rock climb, bike, hike and thrive in the outdoors. 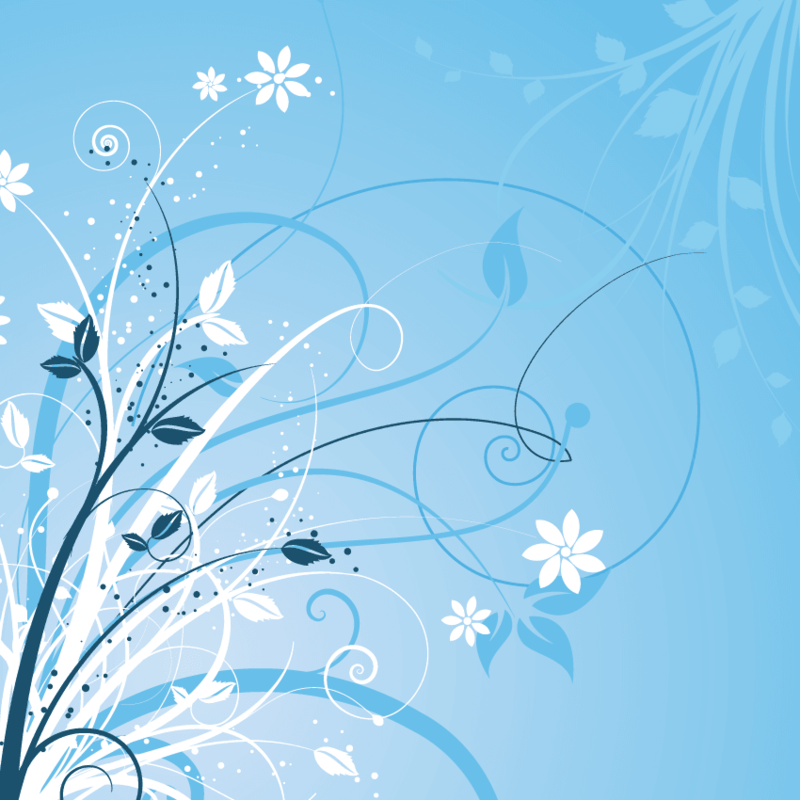 Camps are offered in Boulder, Superior, Golden, Highlands Ranch, Washington Park, Stapleton, Greenwood Village, Hilltop, Castle Rock, Lafayette and Colorado Springs. They also have Colorado Mountain Camp, their overnight camp located at Windy Peak, a beautiful location near Bailey, Colorado for 7-10th graders and Mt. Evans in Evergreen, Colorado for 1st – 6th graders. Eleventh and 12th graders are CMC’s Staff in Trainers. When my kids participated in their fifth season with Avid4 Adventure, I was a bit worried they would take a been-there, done-that attitude but their experience could not have been farther from the truth. 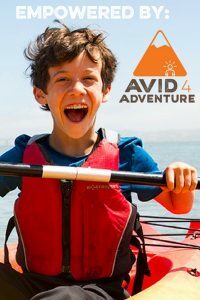 Avid4 Adventure does a fantastic job expanding upon past years of kayaking, canoeing, rock climbing, biking and hiking….while somehow also catering to the beginner. I have caught of glimpse of Avid4 Adventure’s camp magic during parent days. One year, I joined my kids at the Survival camp where they showed me how to track animals, and build shelters and tools. Another year, I witnessed Bode scale a huge rock wall (while my grateful feet remained on solid ground) and I went canoeing with Hadley at Bear Creek Lake Park. My history with canoes involved capsizing or using a rake as a paddle (long story but when you don’t have oars you improvise). No improvisation was needed with the Avid4 kids as they became extremely proficient in each of the activities. I was impressed with all the instructors who were not just college students on summer break but rather ages 21+, certified in Wilderness First Aid and CPR, highly trained and passionate about instilling a love for the outdoors. I first heard about Avid4 Adventure through a friend who raved about their Outdoor Education School Programs and what’s not to love? They bring a portable stations to schools such as a 25-foot mobile climbing wall, a 30-foot portable pool for kayaking or canoeing, mountain bikes and a portable mountain bike skills course and an outdoor Leave No Trace classroom. Between their school program, adventure day camps all over the Metro area, family camping trips and overnight camps, the only thing Avid4 Adventure is missing is classes for adults. I’ll be first in line should it ever it ever happen. 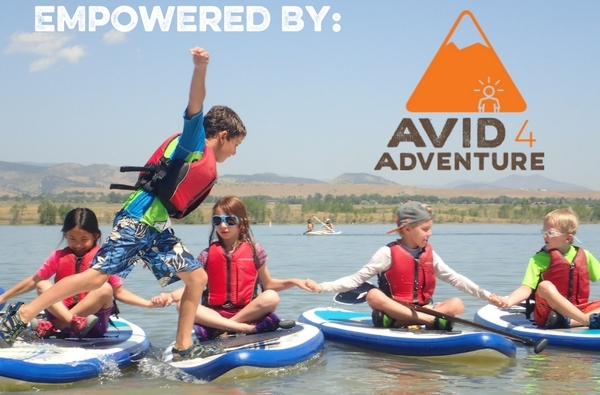 Save $20 per session by entering MILEHIGH when registering at Avid4 Adventure.